geography (Asia, Europe, North America, and ROW). T-cell therapies and gene therapies for blood cancer is also increasing. blood cancer, which will lead to market growth. existence of novel therapies with the potential to cure the disease. diagnosis and opting for treatment for conditions such as myeloma. table of contents, list of exhibits, and example pages from this report. 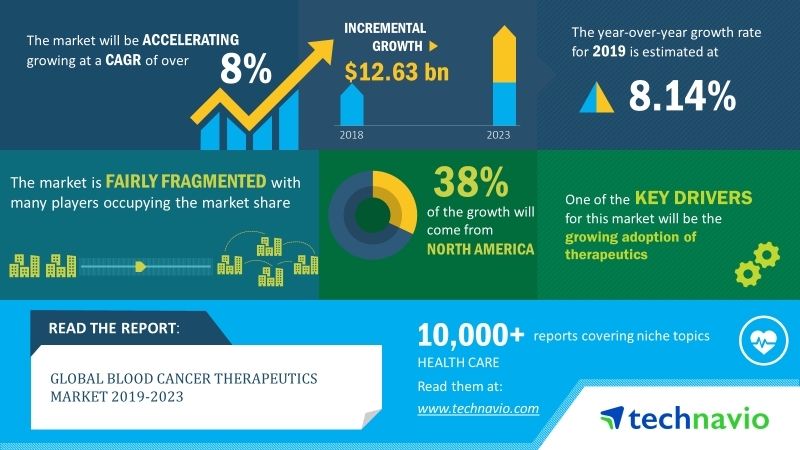 will drive the blood cancer therapeutics market growth in North America. growth of the market in North America,” says an analyst at Technavio.